Looking for the cheapest deals for your Lexmark toner cartridges? If your Lexmark printer is running out of laser toner you could make significant cost savings as a result of obtaining any new Lexmark C532N toner cartridges with us. Considering Cartridge Save's competitive prices and also our lowest price policy, you can be certain of getting the cheapest bargain on your Lexmark C532N toners. Moreover, we will only provide you with Lexmark C532N toner that are very high in quality and additionally low in cost so why be happy with anything less? Save Money Now For Lexmark C532N Toner! Here at Cartridge Save you receive fast and free delivery for all Lexmark toner. You can start to save today and order your low cost Lexmark C532N toner whenever you use Cartridge Save's online store. However, you are able to order this cheap Lexmark C532N toner by just phoning the customer order number directly at any appropriate time. Customer satisfaction is Cartridge Save's top priority so we give shoppers a comprehensive cash back guarantee for all Lexmark C532N toner cartridges to provide you with absolute peace of mind. We're giving you speedy delivery, dependable printer cartridges along with the lowest possible prices. 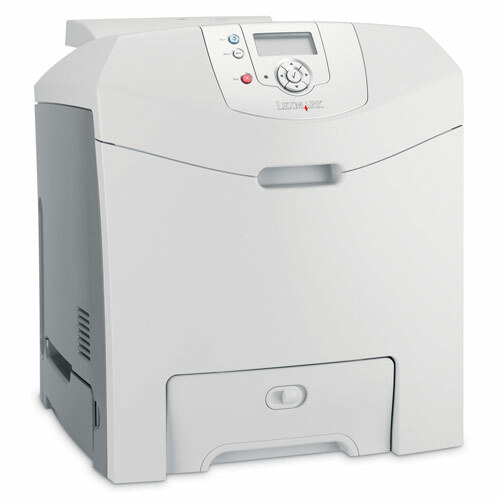 Fast and efficient, the Lexmark C532N is a worthy investment and a good addition to a small office. It is also aimed at individuals who need to do high-volume printing at home. However, the outdated LCD and lack of more paper handling options may prompt users to look for other options. This high-quality colour laser printer weighs 57.1 lbs. It has a minimalist control panel and dimensions of 17.3x20.2x19.1 inches (WxDxH). The maximum resolution of the Lexmark C532N is 1200x1200 dpi, which is improved by the 4800 Colour Quality Image Enhancement Technology. The Lexmark C532N has an average speed with a 375 MHz processor and a standard 128 MB RAM. The built-in duplexer and the separate photo-conductor ensure savings, and the memory can be expanded to 640 MB. The Lexmark C532N is fast, with print speeds ranging from 21 to 24 ppm in colour and black and white. Installing the Lexmark C532N is also easy, as well as integrating it into a wired network. The LCD is a let down because it does not have a backlight. The quality of colour prints is inconsistent. The Lexmark C532N is rather outdated and too basic when compared to other printers that already have a copier, scanner, and a fax machine. This printer is among the noisiest around, producing 53 dBA of sound during operation.